The Marker Pal TM holds pens and markers from the size of a standard Sharpie permanent marker up to a dry erase marker. 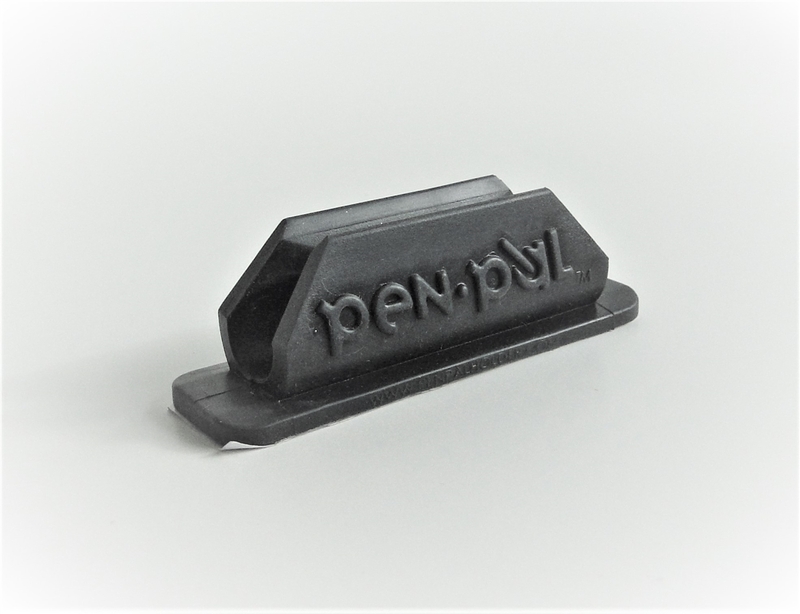 Uses the same adhesive as the classic Pen Pal and is made from the same material. Only available in black at this time. Measures 2.75" x 0.8125" x 0.8125"